EghtesadOnline: Newly released Statistical Center of Iran’s figures show the Consumer Price Index registered a remarkable growth in the Iranian month of Mordad (July 22-Aug. 22). The monthly increase of 5.2% is unprecedented over the past decade while the fluctuations of prices pushed the year-on-year CPI growth to the alarming level of close to 20%, experienced in the fiscal 2012-13 and 2013-14. The overall CPI (using the Iranian year to March 2017 as the base year) stood at 127.7 for the month under review, indicating a 5.2% rise compared with the previous month. The index registered a year-on-year increase of 19.3% compared with the similar month of last year, according to Financial Tribune. Despite the above growth rates, the average CPI for the 12-month period ending August 22 remained in the single-digit territory. It increased by 9.7% compared with last year’s corresponding period, as per the SCI report. The Central Bank of Iran, another body in charge of releasing periodic macroeconomic data, has yet to release its own account of Mordad inflation. Another interesting development found in SCI’s new data is that the monthly inflation rate registered for rural households has overtaken that of urban households. The overall CPI reached 127.6 for urban households and 128 for rural households, indicating an increase of 5.1% for urban areas and 5.9% for rural areas compared with the previous month. SCI put the average urban and rural 12-month inflation for Mordad at 9.8% and 9.1% respectively. The index registered a year-on-year increase of 19.4% for urban areas and 18.8% for rural areas compared with the similar month of last year. Estimates given by our sister publication Donya-e-Eqtesad suggest that the average 12-month inflation rate is highly unlikely to remain single-digit in the ongoing month, even if the overall index decreases by 6%. If the monthly growth of the index in the current month stays the same as in last month, the average 12-month inflation will go beyond 11%. Should the monthly increase of CPI see the same growth as in the last month (5.2%) for the other months, the average 12-month inflation will move past 30% and the year-on-year index will increase more than 60% by the fiscal yearend. There is a middle-of-the-road course as well: If the monthly growth of the index stays around the average of the past five months since the beginning of the Iranian year (March 21), i.e. 2.8%, the average 12-month inflation will increase 24.4% at the end of the year and the year-on-year inflation will fall in the neighborhood of 40%. The main driver of inflation in the last month was the CPI growth of “Food” group. 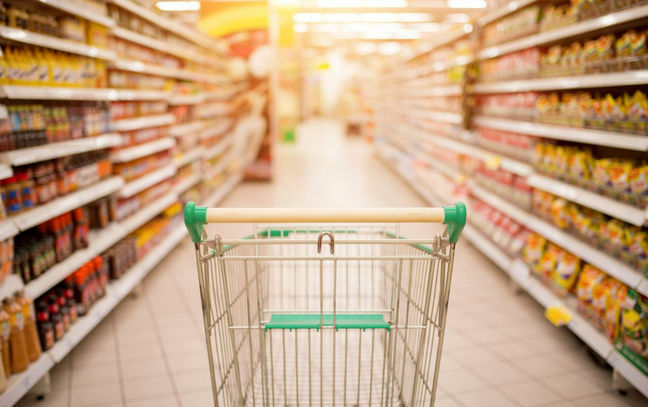 The Consumer Price Index of “Food, Beverages and Tobacco” group in the 12-month period ending Aug. 22 increased by 12.1% compared with last year’s corresponding period, SCI reported. The “Food, Beverages and Tobacco” CPI (using the Iranian year to March 2017 as the base year) stood at 140 in Mordad, indicating a 9.1% rise compared with the previous month. The index registered a year-on-year increase of 26.3% compared with the similar month of last year. According to SCI, “Red Meat and Poultry” experienced the highest inflation last month: The average price rise of this group of foods was 13.9% last month and around 28.3% over the year, which means Iranian household had to spend 28% more on red meat and poultry last month compared with the same month a year ago. “Milk, Cheese and Eggs” and “Fruit and Nuts” were two food groups that saw high inflation rates as well: 12.6% and 12.2%. However, the consumers of tobacco products experienced the hardest inflation last year. The CPI of “Tobacco” group in the 12-month period ending Aug. 22 increased by 23.3% compared with last year’s corresponding period. The “Tobacco” CPI stood at 208 in Mordad, indicating a 25.8% rise compared with the previous month. It registered a year-on-year increase of 98.7% compared with the similar month of last year.